On the right we've put a Thermometer to measure and show the current temperature. 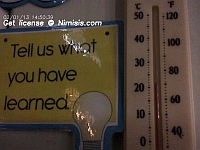 We've set a Webcam to record the temperature shown on the thermometer. The webcam will record a new picture of the Thermometer every 30 minutes. Here is the latest photograph taken by the webcam. 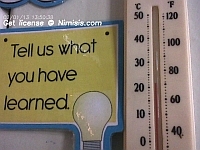 The current classroom temperature is shown on the thermometer by the top of the red bar. Please click here to see all the photographs recorded so far. 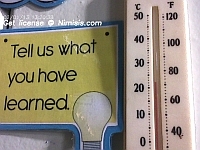 Can you tell what things will affect the classroom temperature? Can you make any predictions about what will happen to the temperature? We'd like you to write down what you've learned and show it to us in class. Hot & Cold Cam Project from Lowther School on Vimeo.